The high price of gear is one of, if not the biggest barrier to entry to the bass fishing world. Now don't get me wrong; I'm crazy about some of the high-end fishing tackle out there, but for someone just getting started or a weekend angler looking to add a few new combos to his lineup, it can be really darn tough to find good gear at a bargain. I've said it many times before: I have an immense appreciation for companies who find a way to get more people involved in fishing. You may have heard of KastKing before, but never really knew any buddies who had 'em and were hesitant to give them a shot. 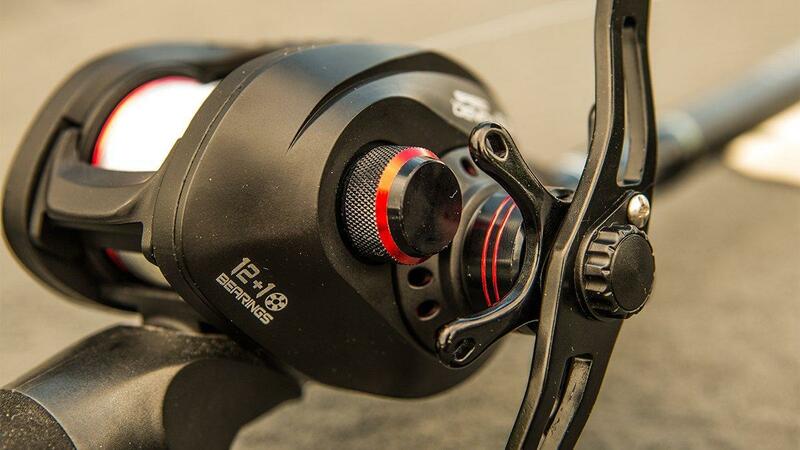 They're an up-and-coming company, however, and they're starting to put out some pretty impressive reels at jaw-dropping price points. I've had an opportunity to test the KastKing Speed Demon, which is billed as "the world's fastest baitcaster" for the last few months, and I have sincerely been pleasantly surprised at what I've learned. I'll take you through my thoughts in the next few slides. Before we drill down on some of this reel's characteristics, let's quickly touch on price point: The 9.3:1 KastKing Speed Demon is priced at $69.98 which, if you take a look at the reel market, is about half the price of many middle-of-the-road baitcaster models. If your raised an eyebrow reading that sentence, don't worry - I raised an eyebrow, too when I saw the price tag. 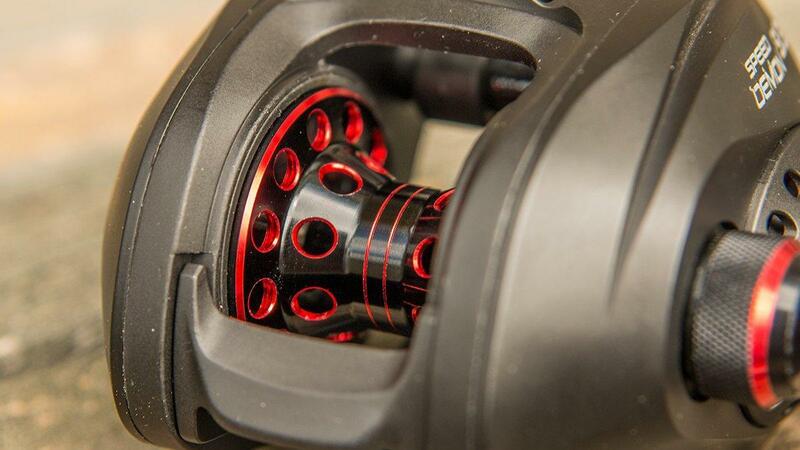 But don't let it scare you away from this reel. The casting distance has been excellent, in my honest opinion. I purposely rigged up some heavier "chucking" baits like lipless crankbaits, heavy spinnerbaits and oversized topwaters and the Speed Demon delivered some bomb casts, even into a stiff wind. With these larger lures, I've been able to nearly cast across small ponds and while I'm on big water, launching long casts and covering points and flats has been really easy. 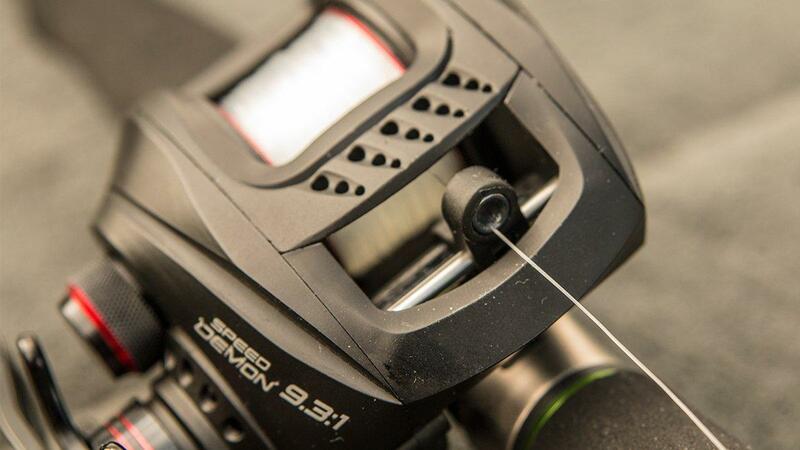 This reel has also handled lightweight lures without much hassle. I've tinkered with several weightless soft plastics and it definitely holds its own in terms of manageability and temperament. I was most skeptic about the castability and line management when I first unboxed this reel. But after a few weeks of use, I could count my number of small backlashes on one hand. The tension knob is quite responsive to menial adjustments and the trilateral magnetic braking system has been very simple to use. 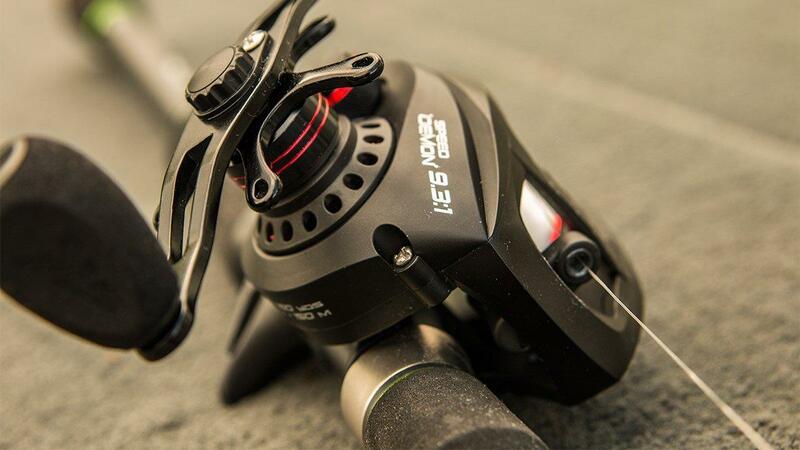 I've tested several hundred casting reels throughout my career and I think the Speed Demon would be a great choice for anglers looking to improve their baitcaster skills. It's not rocket science to get it set up and once it's dialed in, you'll rarely have to fool with the settings. I've had several reels that, no matter what I did, would not play nice with different types of line. I'd take double the time to spool them up properly and the line would still lay crooked on the spool. As I was spooling this Speed Demon for the first time, I immediately noticed how compact and smooth the line sat on the spool. There are no lumps anywhere and the both ends of the spool are evenly covered with line. I spooled it up, took it right to the lake and started making some fairly complex casts in no time. Not bad at all for a $69 reel. At this price point, aesthetics often suffer. I'm not big on looks to be honest, but for those who are, I think you'll be happy with the looks of the KastKing Speed Demon. It has a matte black finish which has been very resistant to boat rash and hook scratches and the red accents make it pop and give it a more high-end look. The body lines are dynamic and give it a "mean" look when placed on a rod. I have always leaned more towards EVA foam handle knobs for one simple reason: My hand doesn't slip off when it's wet or covered in fish slime. I was pleased to see these on this reel and they give it a more cohesive feel in your hand. I haven't been busting any of my knuckles on the drag star when setting the hook, which has actually been a fairly obnoxious problem for me in the past. This reel is a bit heavier than many of my others, and it was pretty evident when I took it out of the box. To my surprise, however, it actually feels quite nice once I put it on a rod. The frame is a little stockier than others as well, but I honestly don't mind it. 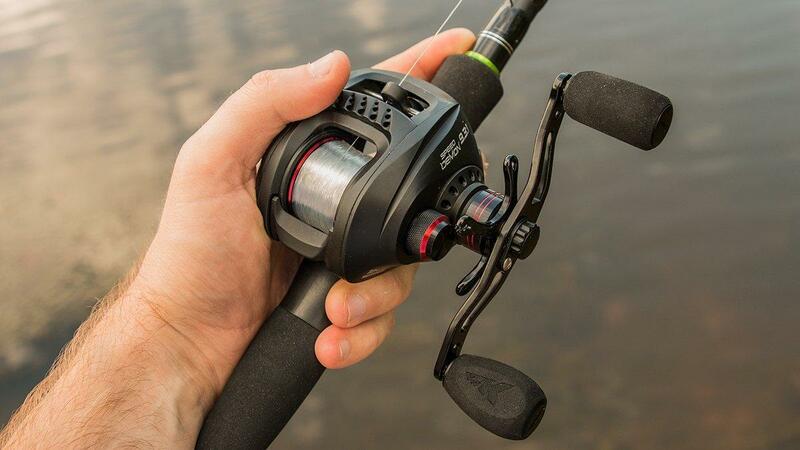 I've written about it before, but when I'm throwing a crankbait and working a topwater, I like a beefier reel. I'm sure it's a preference thing, but it feels like I have a bit more leverage than I would with an ultra-low profile reel. I think anglers will appreciate the warranty on this reel, too. It's a one-year warranty and if you have issues with your reel due to workmanship or material issues, they'll replace the reel and your shipping costs will be reimbursed. 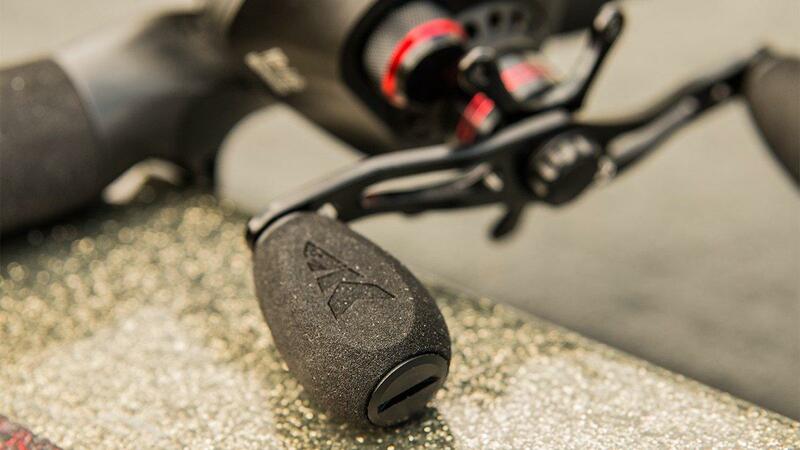 I think a lot of anglers will really like the KastKing Speed Demon. 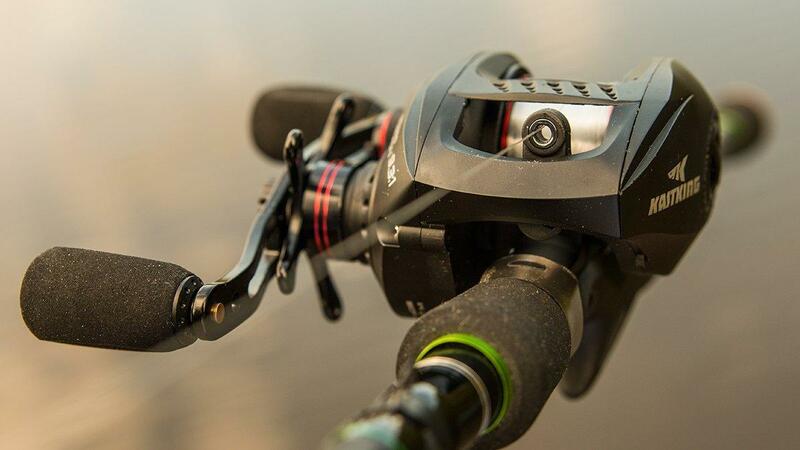 It's easy to use, it's very affordable and it's quite smooth for a reel at this price point. It doesn't feel gritty when you're using it and it doesn't sound like a coffee grinder when you cast it. It's going to be a really solid option for those looking to expand their arsenal without breaking the bank. The KastKing Speed Demon is available at KastKing.com.